The 2019 Mercedes-Benz GLA is agile, adventurous and adaptable. Taut, trim and muscular, the GLA is big on style from its iconic grille to its LED taillamps. Big 18in or 19in wheels and black fender flares lend a confident stance, while chrome and aluminum add elegant accents to the bumpers and roof. With available hands-free access, just a kick under the bumper can open the standard power liftgate. It's a grand opening to a generous 43.6 cu ft of cargo room with the rear seats folded, or a generous trunk with all five seats in use. Under the hood, you’ll find turbo power and two liters of pure energy. With 208 turbocharged horsepower, the GLA quenches your thirst for performance with a minimal appetite for fuel. Advanced direct injection and multispark ignition self-tune on the fly, to keep your enthusiasm at full boost. The 7G-DCT transmission offers the smooth refinement of an automatic with sporty reflexes. Its dual-clutch design shifts faster than a human can, while its shift paddles let you take charge of its seven speeds anytime. Available variable-torque 4MATIC® all-wheel drive can sense the very onset of wheel slip, and instantly reapportion up to half of the engine's power to the rear wheels on demand, plus off-road mode makes the GLA even more capable. Dynamic select dials in the GLA's performance character with the tap of a console button. Throttle, shifting and more sharpen in Sport mode, ease up in ECO, keep calm in Comfort and there's even a mode you can set up yourself. The GLA offers a range of convenient features including an 8in color display, Bluetooth® integration, Apple CarPlay and Android Auto compatibility, remote start, remote lock/unlock and built-in Wi-Fi.The 2019 Mercedes-Benz GLA is agile, adventurous and adaptable. Taut, trim and muscular, the GLA is big on style from its iconic grille to its LED taillamps. Big 18in or 19in wheels and black fender flares lend a confident stance, while chrome and aluminum add elegant accents to the bumpers and roof. With available hands-free access, just a kick under the bumper can open the standard power liftgate. It's a grand opening to a generous 43.6 cu ft of cargo room with the rear seats folded, or a generous trunk with all five seats in use. Under the hood, you’ll find turbo power and two liters of pure energy. With 208 turbocharged horsepower, the GLA quenches your thirst for performance with a minimal appetite for fuel. Advanced direct injection and multispark ignition self-tune on the fly, to keep your enthusiasm at full boost. The 7G-DCT transmission offers the smooth refinement of an automatic with sporty reflexes. Its dual-clutch design shifts faster than a human can, while its shift paddles let you take charge of its seven speeds anytime. Available variable-torque 4MATIC® all-wheel drive can sense the very onset of wheel slip, and instantly reapportion up to half of the engine's power to the rear wheels on demand, plus off-road mode makes the GLA even more capable. Dynamic select dials in the GLA's performance character with the tap of a console button. Throttle, shifting and more sharpen in Sport mode, ease up in ECO, keep calm in Comfort and there's even a mode you can set up yourself. The GLA offers a range of convenient features including an 8in color display, Bluetooth® integration, Apple CarPlay and Android Auto compatibility, remote start, remote lock/unlock and built-in Wi-Fi. With the character of a Mercedes-Benz SUV, a sporting soul and a compact footprint, the redesigned 2018 GLA is agile, adventurous and adaptable. It's at home in the city, eager when you're far from home, and a perfect fit for today, and tomorrow. Taut, trim and muscular, the GLA is big on style even in its smallest details. New front and rear styling is fresh yet iconic. Every line is strong yet refined, true to the character within. The GLA's sensible footprint conceals a cabin that's generous with legroom, headroom and luxury. And while it's solid and strong, it also slips through the wind efficiently and quietly. With the available new HANDS-FREE ACCESS, just a swipe of your foot under the bumper can open the power liftgate. Which opens to a generous space: 43.6 cu ft of cargo room with the rear seats folded, or a sedan-like trunk with all five seats in use. From its turbo to its tight turning circle, the GLA is a quick-witted, surefooted, fun-loving SUV powered by a legacy of performance innovation. The 7G-DCT transmission's offers the smooth refinement of an automatic with sporty reflexes. Its dual-clutch design shifts faster than any human. Whether you need to be connected or want to feel protected, the GLA boasts advanced technology that's designed to enhance your life on the go. The vivid 8in color display is not only larger, it also brings you a wide range of ways to stay entertained and informed. From Bluetooth® audio streaming to available Apple CarPlay and Android Auto, your GLA has you covered.With the character of a Mercedes-Benz SUV, a sporting soul and a compact footprint, the redesigned 2018 GLA is agile, adventurous and adaptable. It's at home in the city, eager when you're far from home, and a perfect fit for today, and tomorrow. Taut, trim and muscular, the GLA is big on style even in its smallest details. New front and rear styling is fresh yet iconic. Every line is strong yet refined, true to the character within. The GLA's sensible footprint conceals a cabin that's generous with legroom, headroom and luxury. And while it's solid and strong, it also slips through the wind efficiently and quietly. With the available new HANDS-FREE ACCESS, just a swipe of your foot under the bumper can open the power liftgate. Which opens to a generous space: 43.6 cu ft of cargo room with the rear seats folded, or a sedan-like trunk with all five seats in use. From its turbo to its tight turning circle, the GLA is a quick-witted, surefooted, fun-loving SUV powered by a legacy of performance innovation. The 7G-DCT transmission's offers the smooth refinement of an automatic with sporty reflexes. Its dual-clutch design shifts faster than any human. Whether you need to be connected or want to feel protected, the GLA boasts advanced technology that's designed to enhance your life on the go. The vivid 8in color display is not only larger, it also brings you a wide range of ways to stay entertained and informed. From Bluetooth® audio streaming to available Apple CarPlay and Android Auto, your GLA has you covered. New vehicle pricing includes all offers. Tax, Title and Tags not included in vehicle prices shown and must be paid by the purchaser. While great effort is made to ensure the accuracy of the information on this site, errors do occur so please verify information with a customer service rep. This is easily done by calling us at (337) 520-0330 or by visiting us at the dealership. With Mercedes-Benz’s Signature 2019 GLA, you won’t have to sacrifice on comfort or utility to enjoy unequaled performance and a luxury driving experience. This subcompact luxury SUV comes fully equipped with a 2.0-liter, four-cylinder engine that maximizes on handling and fuel efficiency while sporting the latest GPS infotainment interior display, alloy wheels, and a sporty drive you’ll love whether you’re on the road or trekking down a trail. With a roomy interior and choice leather seating, you’ll enjoy every minute of your drive, and Mercedes offers the best-in-class safety features of any subcompact SUV on the market. Is it any wonder Mercedes-Benz has been a top automotive manufacturer for over 90 years? Treat yourself to a driving machine like no other. Get into a 2019 GLA today. Style and rugged reliability aren’t mutually exclusive when you drive the 2019 GLA models. We offer three different stylish trim packages for the 2019 GLA that will turn heads and give you a sense of pride while you drive. With up to 18-inch alloy wheels, power liftgate options, fog lights, and an optional carbon-fiber exterior trim, you can transform your GLA from sporty to rugged without sacrificing the sleek and sophisticated lines Mercedes-Benz is known for. We carry a wide range of colors and hues to choose from, and our sales team will be happy to answer any question or provide you with a test drive. Whether you’re making your daily commute or setting off on a road trip to remember, the 2019 GLA is your best choice. Power and performance come standard when you step into the 2019 GLA. Whether you prefer the GLA 250 or the GLA 4MATIC®, you can experience the same 2.0-liter turbo, four-cylinder engine performance that comes standard in all Mercedes-Benz vehicles. The GLA produces up to 208 horsepower and over 258 pound-feet of torque, ensuring you can tow loads of almost any size to your destination. The GLA’s innovative dual-clutch, seven-speed automatic transmission provides unmatched handling and ease of use, and if you thrive on power, the AMG® GLA 45 features all-wheel power drive functionality that delivers 375 horsepower and 350 pound-feet of torque. Add in the fuel efficiency of up to 31 mpg on the highway and you have a recipe for a Mercedes like no other. No matter your performance needs, you’ll find no other subcompact luxury SUV in this class can match the 2019 GLAs at Mercedes-Benz of Lafayette. Comfort is always a top concern among discerning Mercedes-Benz owners, and the GLA will more than meet your needs. With traditionally sophisticated interior design curves and features, you will find more legroom, quality leather seating, and large analog gauges that are stylish, functional, and a joy to use. The GLA’s high-visibility infotainment display can give you up-to-the minute GPS navigation, music, and information that will keep you on schedule and ensure your trip is enjoyable. The GLA also has the option of turning a roomy 14.9-cubic-inch cargo space into an extremely spacious 43.6 cubic inches with fold-down rear seats. Are you looking to add the finest sound quality to your XMS radio experience? The GLA’s premium package with a 12-speaker Harman/Kardon® stereo system will give you the high-definition clarity you’ll love. We also offer a wide range of certified-pre-owned Mercedes, as well as expert Mercedes-Benz repairs and scheduled maintenance for very reasonable prices. Find out more about our many luxury amenity options by visiting our showroom in Lafayette, LA, today. We’ve built a reputation in Lafayette, LA, for offering quality vehicles, unmatched customer service, and luxury driving experiences for years, and we’ll ensure you love how you feel behind the wheel of our latest models. Drive with peace of mind knowing you and your family are safe behind the wheel of the Mercedes-Benz 2019 GLA. Contact us today for more information or to schedule a test drive. Own the road with a 2019 Mercedes GLA. Call today. 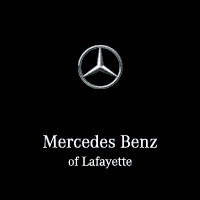 Mercedes-Benz of Lafayette	30.164920, -92.084060.